Xenarc Filament or Xenon Filament Heavy Duty Lamps. 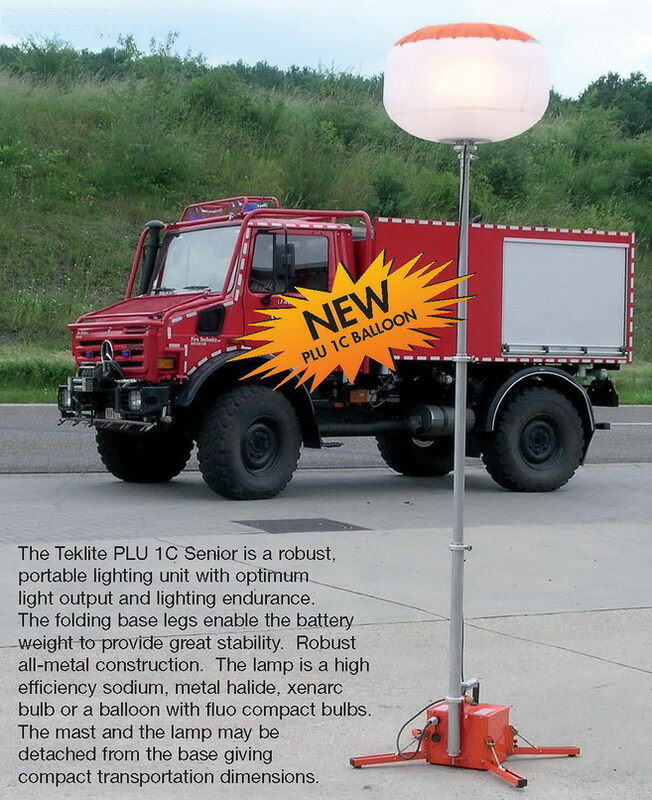 Shown above is one of Teklite's self contained MLU's (Mobile Lighting Units), the model MLU6/200. 12/24v DC & 230v AC Lightweight Mobile Flood Lighting. Air-Operated Masts with internal power cabling. 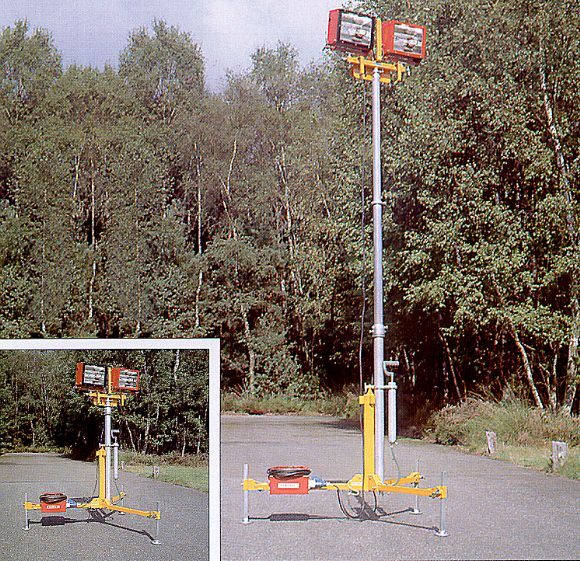 Flood Lighting - Air-Operated Masts - Portable Lighting. Gas Discharge Lamps - Portable Lighting. 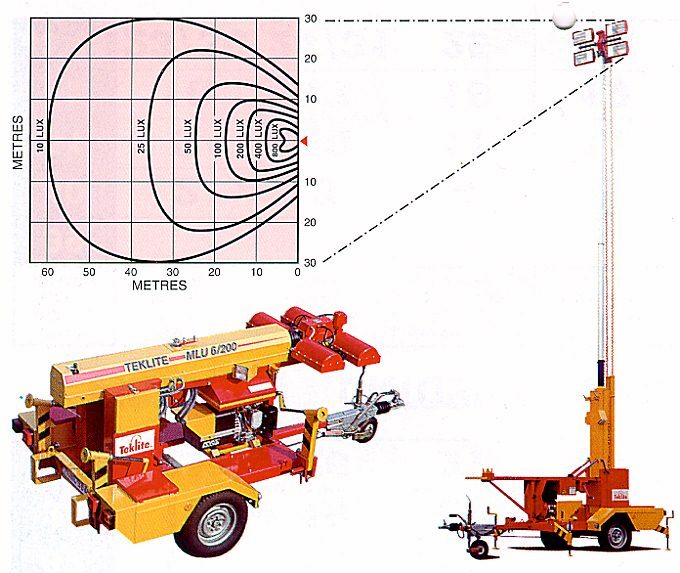 Watts - Air-Operated Masts - Portable Lighting. 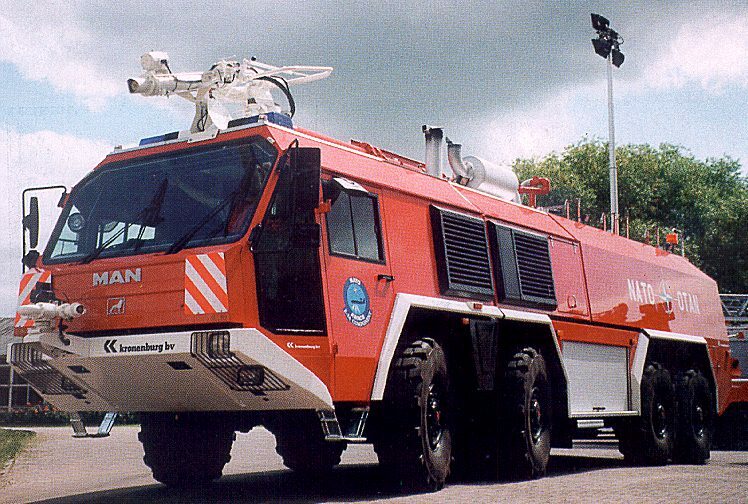 Watts - Air-Operated Masts, can be vehicle or field mounted. Filament and high efficiency Gas Discharge Lamps. 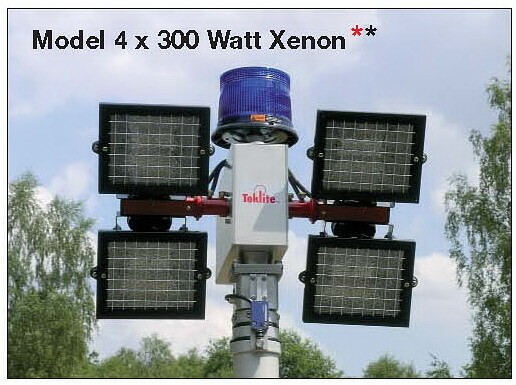 12/24v DC Mobile Flood Lighting - Manually Extended Masts. AC units as well as a petrol driven alternative. 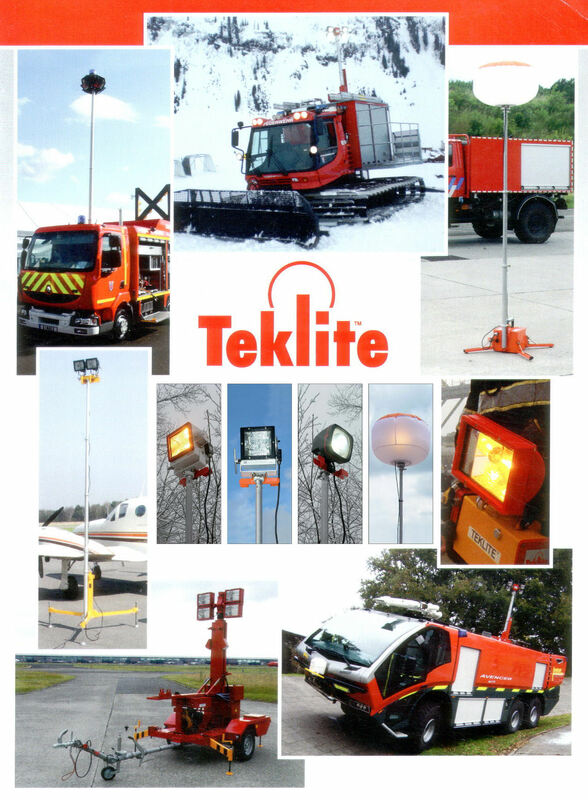 Clark Masts Teklite portable lighting range. Xenarc and Halogen Lamps available - Portable Lighting. light available - Air-Operated - Portable Lighting. Halogen Lamps available - Portable Lighting. with high efficiency 230 Volts AC Gas Discharge lamps.